Nestled firmly in the southern reaches of the Cirrun River valley, Onora Castle was built as a bastion against the northern forces of a former enemy: the Dwarves. About a decade after an uneasy truce was signed between man and dwarf, Alcazar I bequeathed the castle and its surrounding land to one of his favored generals, Lord Emerest Onora. Under the even hand of Emerest, the duchy became a prospering farming community and bustling towns began to crop up where rolling hills once lay only covered in grass. 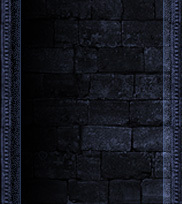 After Emerest's passing, his eldest son, Elikor assumed rule in his father's stead. Upholding his father's ideals coupled with his experience as a tactician for Alcazar II's campaigns across the sea, Onora continued to enjoy the prosperity his father once ruled in. When the War of the Crown began, the peoples of Onora felt a false sense of security being in the remote, northern reaches of Parmathia. Things seemed too distant to directly affect Onora and many paid no head to the warnings of Löwen's victories in the south. Darkness crept into the peaceful duchy and tragedy struck unexpectedly. Elikor's Kahjini wife bore him two children before she died from complications in the second birth. With the loss of his love, Elikor became consumed with the protection of his children. His eldest child, Ethan was appointed commander of his cavalry and was always kept close while his youngest was kept within the castle to study under the tutelage of the duke's father-in-law, Thabian. When news of the war reaching Onora's borders was received, Elikor built many additions to the castle and instructed the citizens of the surrounding villages to enter the confines of his protective walls until the danger had passed. 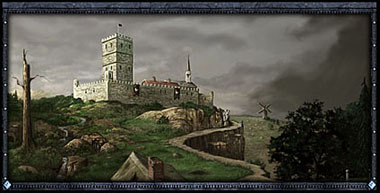 Months later, Löwen's army now marches on Onora Castle. 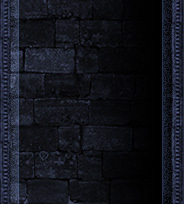 In the ancient Parmathian tongue, Portae Septentrio, the words carved upon the massive gates of the citadel, roughly translate to Northern Gates. This forfication is the only known "safe" means to enter the northern duchy of Kardrak. The kingdom's main road leading from Parmathia's capital, Vardenheim, passes through Northgate. The citadel, carved from white stone, looms over the gates on the northern side. This giant outpost serves as both a watchtower and command center and is now home to many Kardrak soldiers garrisoned there. As more and more cities in the south fell to Löwen's armies, refugees began seeking asylum within Kardrak. The number of refugees climbed into the thousands and Duke Kardrak ordered the gates sealed, only to be opened for noble and royal passage. Years after the war first shook the lands in the south, more and more refugees appear at the gates begging entry. 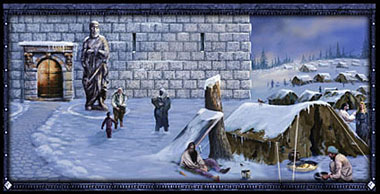 When the northern frontier was first explored by King Aram Varden IV, grandfather of Alcazar Varden I, there was a story that told of a particularly harsh winter that stranded the king and his men in the heart of the northern land with no food and dwindling supplies. Legend has it that the king bravely hunted the wilds alone with only his bow and sword. For days his men suffered a cold, slow starvation. When the king returned to his men, he was dragging a massive stag that he slaughtered to feed them all. The creature was so large that a grand feast was cooked by the king himself and a village was built in that very spot where the feast was held. Today, the village serves as a beacon for travelers seeking a warm bed and a full belly. The chief proprietors of the main inn never miss a chance to spread the legend of King Aram IV's heroism and the origins of the inn. A stuffed head of a stag has been mounted atop the mantle of the great hearth that warms the entire building. Some argue that the animal looking down on them was the very stag Aram IV had fed his men with all those years ago. Resembling one of the great cities of the south, Karhagen is the capital of Kardrak and gains its name from the noble family that founded it. The city rests upon an island near the banks of the Cirrun River and an expansive bridge connects it to the mainland. 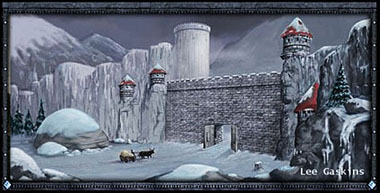 Tall, heavily-fortified walls surround the city and protect those within from the chilling winds of a seemingly eternal winter outside. Despite its opulent appearance, the city doesn't enjoy the same financial luxuries as its southern counterparts. Few caravans bring new commerce to the city and only the families of soldiers and distant relatives of the duke reside behind the walls. The occasional brazen merchant may set up shop here but is generally forced to close down after a few short months of little to no business. The nordlands are a harsh and inhospitable place and the general temperament of Karhagen's citizens reflect that. When the war began to devastate the lands in the south, many refugees sought protection in Karhagen only to be denied entry and forced to seek shelter in crude tents and shanties along the river. Those fortunate enough to reside within the city itself seem to turn a blind eye to the suffering beyond the city's walls. The community of the infirmed and dying can be heard for miles in all directions as their wails of suffering blend with the howls of the icy winds. The duke has been faced with many hardships including: the untimely death of his wife under strange circumstances, the increase in Dwarf incursions within his duchy and the accumulating refuse that congregates at his city walls. Seeking to solve one problem at a time, the duke has passed over the unfortunate refugees for more pressing matters. 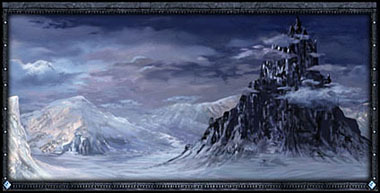 Believed to have been forged from a glacier millennia ago and refined by the Dwarfs, the fells cradle a crumbling fortress and serve as a means to separate the northern reaches of the Kardrak duchy from its southern borders. Thunderous waterfalls fed by the Cirrun River frame the ancient landmark as they crash into the lake below. The eerie remnants of the fortress' artistically carved splendor can still be seen along the hillside while one ascends the massive structure. This ominous mountain's peak dwarfs the surrounding landscape in all directions. Known as "The Pillar of the Heavens" it is said that this is the site of the final battle of the War of the Gods. Countless ages ago, the great battle between the gods of darkness, lead by the Mother of Lies, and the gods of light, lead by Wöten, was fought here. The mountain's obsidian slopes still bare scars from that fateful clash. 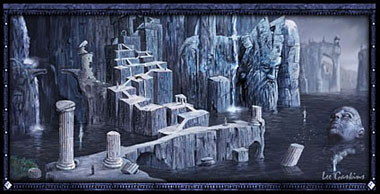 The people of Kardrak have nick-named it "Soul Spire" due to legends that tell of lost souls congregating about its slopes. In a separatist sect of the Wöten Chruch, known as the Cathánites, it is believed that when a soul is denied rest it stalks the lands of man until it reaches Mt. Shaddai where it will spend eternity tortured by the immortal shadows of the dark gods that have fallen there. Since the onset of the War of the Crown, storm clouds have emerged from the mountain's summit. Darkness gathers there and many fear the legends of the ancient gods to be true. © 2001-2008 Chris Fisk. All Rights Reserved. All other trademarks or trade names are properties of their respective owners.